With the NCheck Bio Attendance system, organizations of any size can quickly and easily track attendance using fingerprint and/or face biometrics. NCheck Bio Attendance 3.1 is suitable for use in any size organization – from corporate and government offices to schools, hospitals, event spaces and job sites. Neurotechnology, a provider of high-precision biometric identification & artificial intelligence technologies, today announced the release of NCheck Bio Attendance 3.1, a system that provides quick and easy tracking of time and attendance using fingerprint and/or face biometrics. 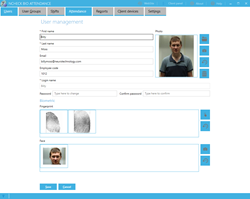 The incorporation of biometrics into the time and attendance task provides convenience for the user as well as a high level of error-free authentication. NCheck Bio Attendance 3.1 is suitable for use in any size organization – from corporate and government offices to schools, hospitals, event spaces and job sites. 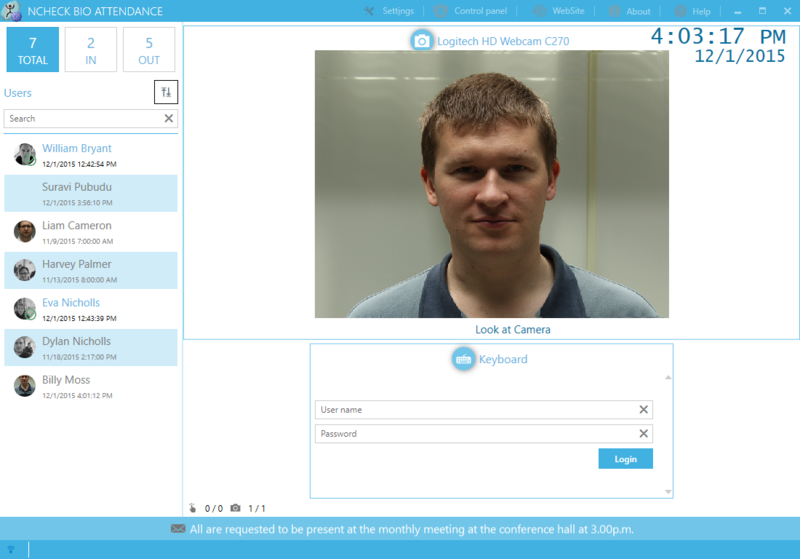 It works with off-the-shelf web cameras and commonly available fingerprint scanners; and with the addition of the NCheck personal app in version 3.1, users can also mark attendance from their smartphones using selfies for face identification. NCheck offers a number of benefits over other biometric time and attendance products in the market, with many new features and improvements in quality, accuracy, efficiency and convenience, all at the same price as the previous version. NCheck supports major industry standards and is based on Neurotechnology’s highly reliable MegaMatcher 9.0 face and fingerprint biometric identification engine to provide fast, accurate authentication whether used on-site or remotely via mobile devices. It has been optimized to enhance the user experience, combining the power of both contact (fingerprint) and hygienic contactless (facial image) verification without requiring smartcards or other forms of user identification. Fingerprint and face biometrics can be used separately or simultaneously on the same device. Organizations with mobile workforces and employees working at remote job sites are often challenged to manage time and attendance effectively. 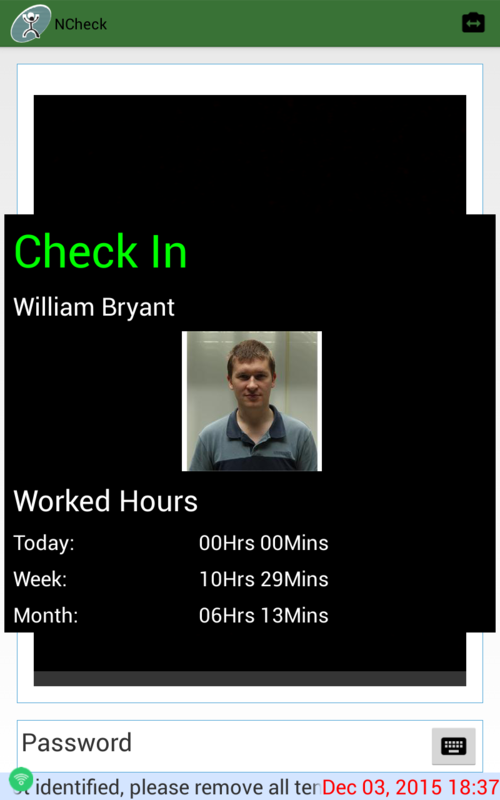 With the new NCheck personal app, employees’ smart phones can be used to quickly, easily and securely log time and attendance. This new capability is made possible by the new algorithm, which provides higher accuracy and better facial recognition results at a lower image resolution. NCheck can also record an employee’s exact attendance location using the geolocation functionality available in many smartphones. The NCheck attendance system can be easily integrated into company's existing payroll system or any third party payroll system for salary calculation. With NCheck 3.1, payroll and a variety of reports can be quickly generated at any time. With the easy-to-use, intuitive user interface, administrators can readily manage attendance records, set up automatic error correction or manually correct any of the input field data. New users can be added to the system with just a few simple steps. 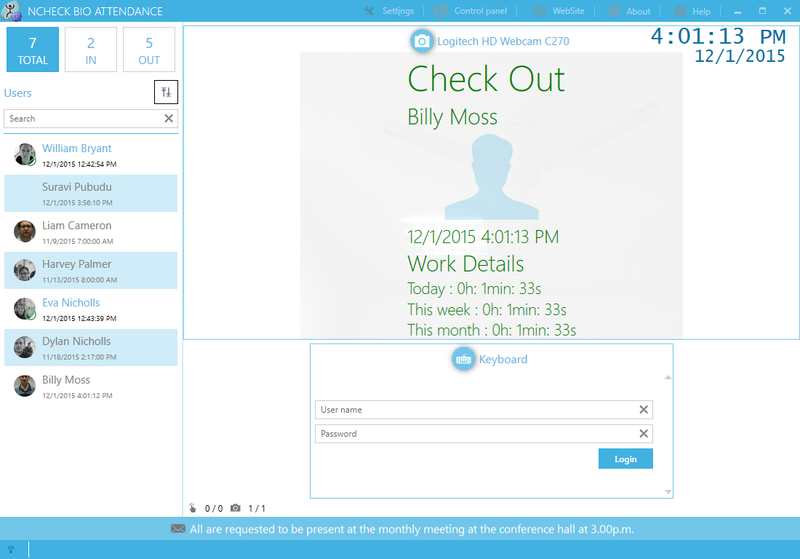 Attendance data is searchable by user name, group, work shift, arrival or departure, making it easier to track and manage records. Reports can be generated for current day, week, and month as well as for any specified time interval. The time and attendance reports and log entries are exportable to XLS, PDF or CSV files. For physical access control in highly secure environments, NCheck 3.1 also provides options for using RFID and/or barcode tags to provide an additional layer of security when used in conjunction with face or fingerprint verification. Please contact Neurotechnology for more information about RFID/barcode device integration. To see NCheck Bio Attendance in action, watch the video. For more information, please visit http://www.ncheck.net. Neurotechnology is a provider of high-precision software and development products for biometric fingerprint, face, iris, palmprint and voice identification; object recognition; AI and robotics. Drawing from years of academic research in the fields of neuroinformatics, image processing and pattern recognition, Neurotechnology was founded in 1990 in Vilnius, Lithuania and released its first fingerprint identification system in 1991. Since that time the company has released more than 130 products and version upgrades for identification and verification of objects and personal identity. More than 3000 system integrators, security companies and hardware providers integrate Neurotechnology's algorithms into their products, with millions of customer installations worldwide. NCheck Bio Attendance 3.1 for Biometric Time and AttendanceUser check-in on Android device NCheck Bio Attendance 3.1 for Biometric Time and AttendanceClient initial window NCheck Bio Attendance 3.1Marks time and attendance using fingerprint or face biometrics. 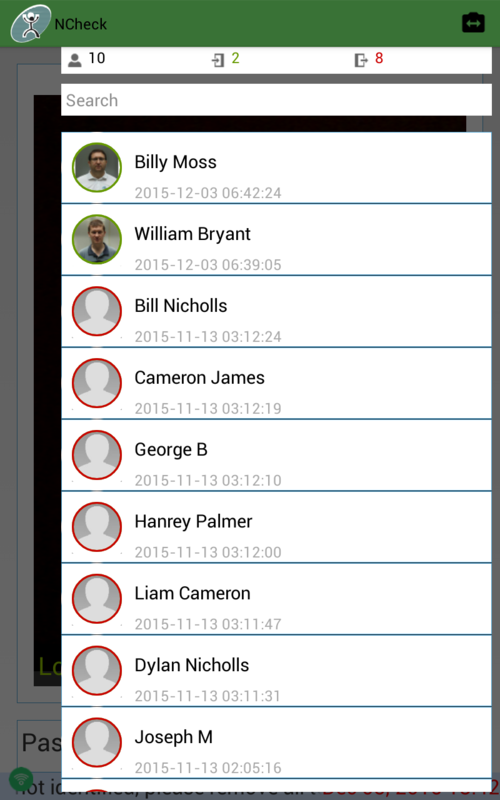 NCheck Bio Attendance 3.1 for Biometric Time and AttendanceUser list on Android device.